Beekeeping at home is something that you can totally do, but before you jump in with both feet it is a good idea to educate yourself as much as you can first on the topic. There are a lot of different things to learn and different scenarios that you should be prepared to handle. Learning all that you can before you start is a good idea so that you can avoid too many painful stings, wasting of the honey, and even losing the hive to mismanagement. There are books and websites like this one from where you can learn and there are also plenty of videos online about the topic that can help you get the best start. There are even groups and clubs you can join and classes that you can take, both online and in your community. One of the biggest and most attractive benefits being that the bees will help the plants that you have in your yard to thrive. You will also have plenty of honey and could maybe even sell some of it. Beekeeping is a great activity to involve the whole family in, as it can be a great educational experience for the children. Bees are actually in crisis around the world, as their numbers are dwindling dangerously low. We need them to help pollinate our food crops. So the more people that get involved in keeping bees at home, the better. There are a few things to consider before you decide to go ahead with your plans. The first thing is the amount of space that you have available. A bee hive can be accommodated on a typical sized city lot that is about a tenth of an acre. If the space the bees are in will also be used for other things such as children playing, family pets, backyard barbecues, etc. then a lot that is about half an acre will be sufficient. You will also need to check with your city about zoning laws and make sure you won’t be violating any local ordinances by keeping bees. You will, of course, need to check with all of your family members to make sure they are okay with it and that none of them are allergic to bee stings. And you will have to check with the neighbors to check for the same things. People can be tested by their family doctor to see if they are allergic, if they don’t know if they are or not. Once you are all cleared for beekeeping, it’s time to start acquiring supplies. It is best to keep hives up off of the ground, so the first thing to do is put together a hive stand. This can be done, quite simply, with treated 2x4s and cinder blocks. It is good to have the hives about two feet off of the ground. Having them off of the ground will protect them from critters and will just make it easier to work with the frames and do all of the things that need to be done. Beehives are not really sold at your local hardware stores or even the big chain stores, but they can be found easily online. There are all kinds of suppliers that carry everything that is needed. The easiest way to go is to order a beekeeping starter kit. Starter kits come with the hive assembled or unassembled. The cost is higher for the ones that are already assembled. And the good thing about buying them unassembled is that you will really get a good grasp of how the whole thing works when you put it together yourself. 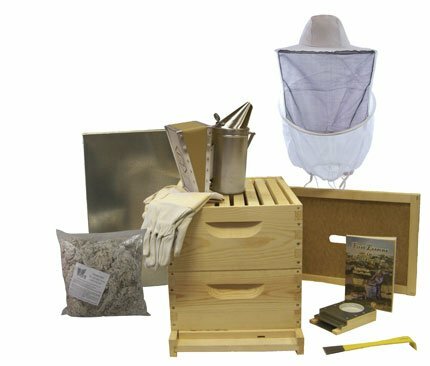 Some of the starter kits even come with beekeeping how-to books included. The next items that are needed are the protective gear to be worn when working with the bees. This includes a beekeeping suit, sting-resistant gloves, helmet and veil for the helmet. As you progress in your beekeeping skills, you may find that all of it does not need to be worn. It is definitely a good thing to start out wearing all of it until you are more comfortable and relaxed with the bees. Another important item is a smoker with bellows attached to it. The beekeeping supply stores online all sell these and if you pick up a starter kit one will probably be included. This is a vital tool for calming the bees and for keeping them out of your way when you are trying to work. The bees will go into the hive and eat as much honey as they can, thinking they will soon have to escape to a new hive. Also, the pheromone communication between the bees will be interrupted, so they will not be able to relay any messages to each other. And with their bellies full of honey, it makes it difficult for them to sting. All that is left now is to buy the bees. As with the equipment, bees can be found for sale online. 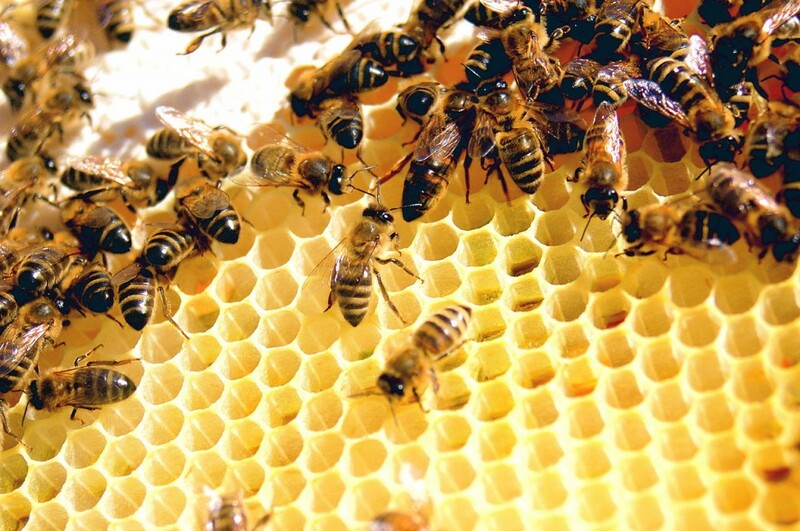 Local beekeeping associations may also have someone from whom bees can be purchased. Beekeeping magazines will also usually have state by state lists of local suppliers.